Singapore Foreign Affairs Minister Vivian Balakrishnan has unveiled the first monument of the late founding Prime Minister Lee Kuan Yew in Europe. 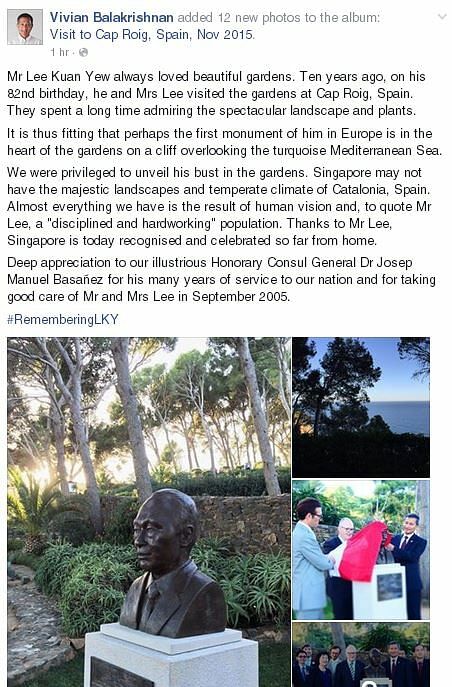 In a Facebook post on Monday (Nov 16) morning, Dr Balakrishnan said a bust of Mr Lee, who died on March 23 this year, now stands in Catalonia's Cap Roig gardens. He revealed that Mr Lee and his wife had visited the gardens a decade ago on Mr Lee's 82nd birthday, and "spent a long time admiring the spectacular landscape and plants". 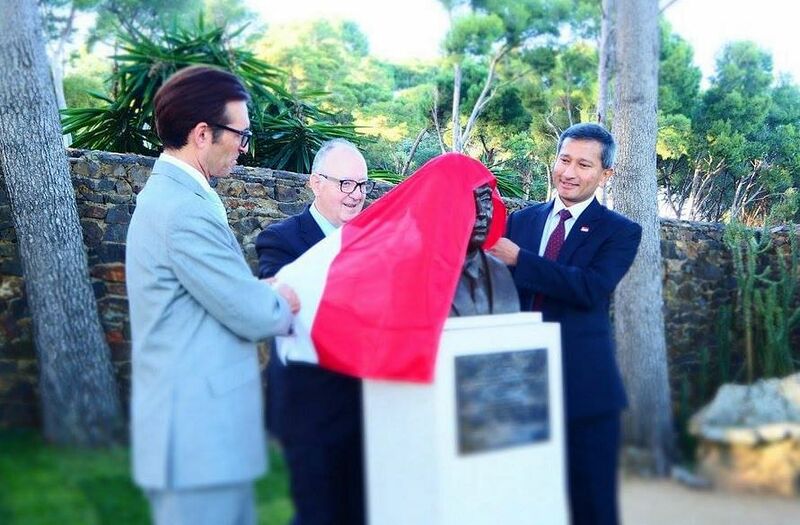 "It is thus fitting that perhaps the first monument of him in Europe is in the heart of the gardens on a cliff overlooking the turquoise Mediterranean Sea," wrote Dr Balakrishnan. He added that Singapore may not have the majestic landscapes and temperate climate of Spain's Catalonia region, but almost everything the Republic now possesses is the result of human vision and a "disciplined and hardworking population". "Thanks to Mr Lee, Singapore is today recognised and celebrated so far from home," he said. The minister is visiting Spain till Wednesday. Dr Balakrishnan, who is also the Minister-in-charge of the Smart Nation Initiative, will also attend the Smart Cities Expo World Congress in Barcelona.